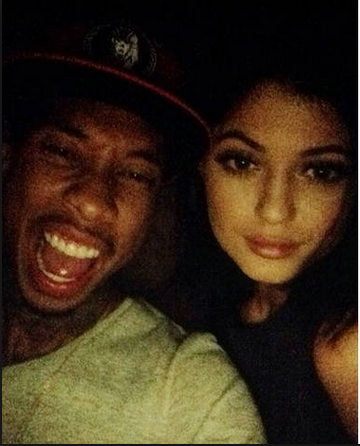 Reeeeeeeally hoping Tyga isn’t a creeper. It hasn’t been that long since Tyga’s split with Blac Chyna. In fact it’s only been a month since the two broke off their engagement. The way Tyga is so adamantly denying a relationship between he and Kylie could have to do with the fact that his ex-fiancée is also a close friend of Kim Kardashian and the family. She even appeared on Keeping Up With The Kardashians so you know that friendship is real and true. Another reason Tyga wants to be clear he isn’t dating the reality TV starlet could have something to do with her being 17, a year under the legal age of consent in California. So let’s hope he’s telling the truth, as that kind of shenanigans would award some big time creep points to 24-year old Tyga, not to mention potential felony charges.